The provincial levels and Provincial “A:”, Provincial “B” and Provincial “C’ Candidates are expected to progress through each category starting at Provincial “C”. The level after Provincial “A” is National C.
Referee gradings are held at designated tournaments. There is normally one Provincial “A” referee grading in the Spring and one in the Fall in each year. They are normally held one each in the northern and southern areas of the Province. The Provincial “B” and “C” evaluations are distributed in the same manner. Notices will be published in the Newsletter and in the tournament invitations. Special referee evaluations may be called from time to time at the discretion of the Chairman of the Referee Committee. The Referee Committee will assign a minimum of two evaluators to conduct a referee grading. The evaluators will be at least National “A”. Interested in becoming a referee? 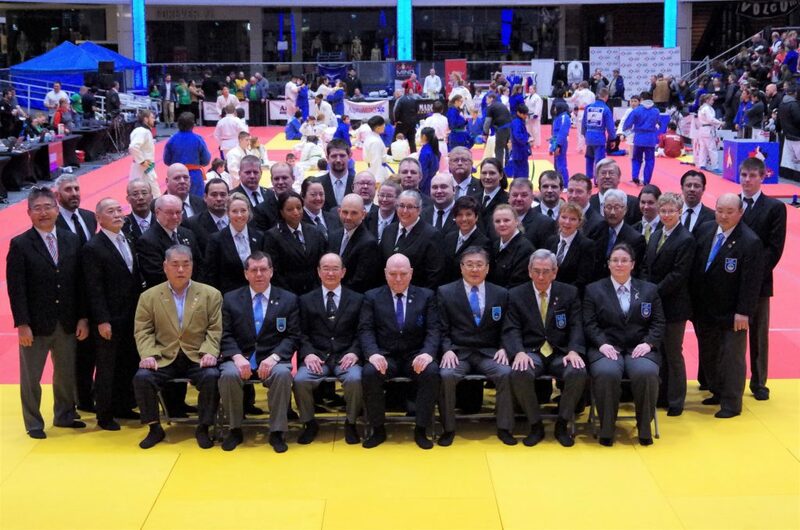 Send an email to the Judo Alberta Referee Committee Chair for more information.